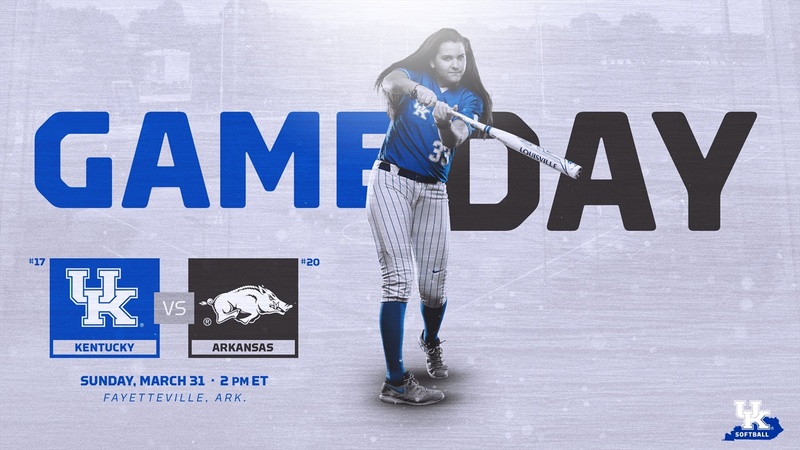 The University of Arkansas clitched the rubber match of their series against Kentucky on Sunday with a walk-off 3-2 victory. The loss marks the third time the Cats have fallen in walk-off fashion this season. Arkansas opened up the scoring in the bottom of the first inning on an RBI single from Katie Warrick, (Arkansas 1, Kentucky 0). After a scoreless second inning, Arkansas added a second run on a solo home run by Danielle Gibson, her third of the weekend, (Arkansas 2, Kentucky 0). The Cats finally broke through in the top of the sixth inning off a two-run single by Alex Martens which tied the game, (Arkansas 2, Kentucky 2). The Razorbacks put the lead-off batter on base and the winning run came around to score on a walk-off RBI double.